When are we on site? Human beings are biophilic by nature, which means that they love life and everything living (E. Fromm, E. O. Wilson a.o.). This is why people like to be in nature and surround themselves with living animals and plants. As a result, man and beast have interacted positively over thousands of years. Animal-assisted interventions are actions that take the benefits of these relationships and pursue concrete objectives for human beings. 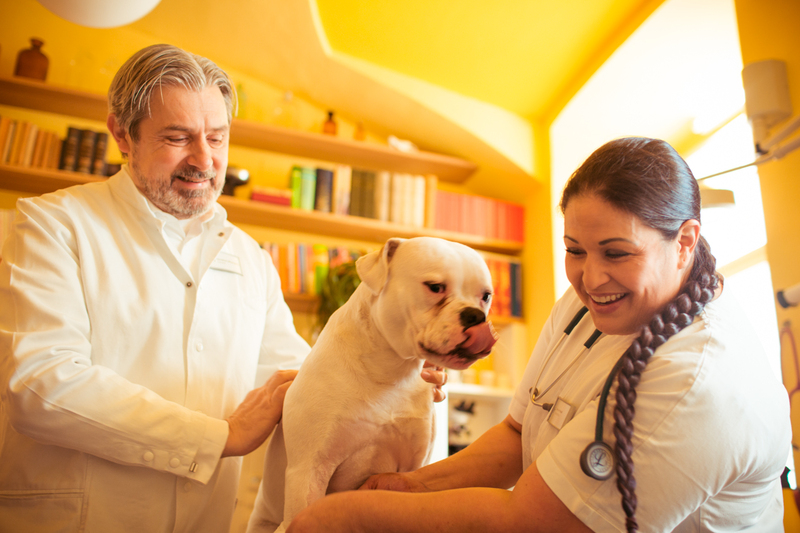 Skilled therapists and animals that are preselected and specially trained are basic requirements. 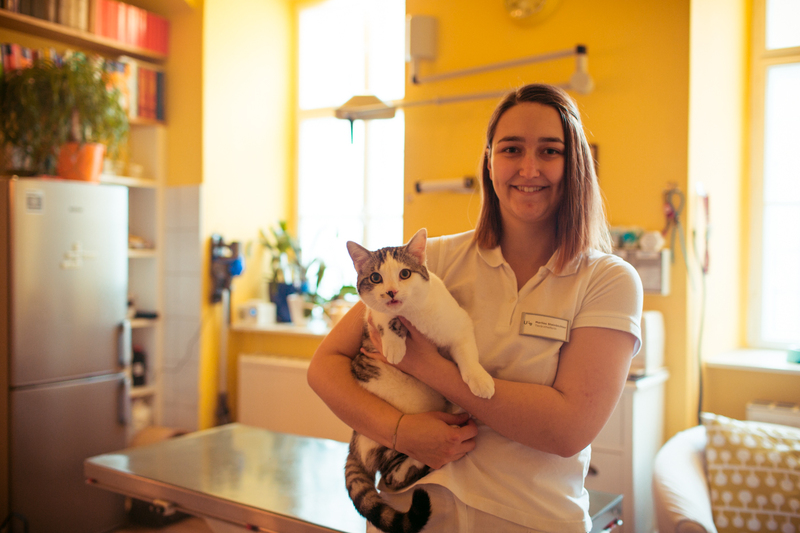 The Vet Practice in Schwarzspanierhof serves as beyond a simply curative practice by offering animal-assisted interventions through the non-profit organization “Tierwunderwerk” (led by Usha Patel DVM). Our therapy animals are regularly checked for their eligibility and health. Animal-assisted interventions aim to strengthen the personal development of people and thus positively influence their resources. The objective is to improve physical and mental deficits whenever possible. For the animals this work is physical and cognitive demanding but also a welcome alternation. Currently we provide several facilities with our animals, e.g. “Hans Radl School”, workplaces of “Jugend am Werk” and retirement homes. Each Wednesday morning animal-assisted education and support takes place at the Hans Radl School in 1180 Vienna. The classes contain five to seven children with mental and physical impairments of different degrees. We work adaptively using dogs, cats, rabbits, guinea pigs, tortoises and achatinidae (big snails). Once per month we visit an animal farm (family Summerer “school on the farm”) or a similar institution. We also offer private lessons that we can tailor individually, as we have a variety of therapy animals. Apart from animal assited intervetions there are a lot of other fields where humans take huge profit from animals. Just to mention a few: guide and assistance dogs as valuable and necessary company to people. The police and military use specially trained dogs for disaster control after earthquakes or avalanches and narcotic or explosive detection and of course hunters traditionally train and use dogs for their purposes. Also in our daily life we benefit therapeutically from our animals. Jogging, horseback riding, cycling and many other exercises are definitely more fun together with a dog and will thus generate motivation to remain fit, both physically and mentally.